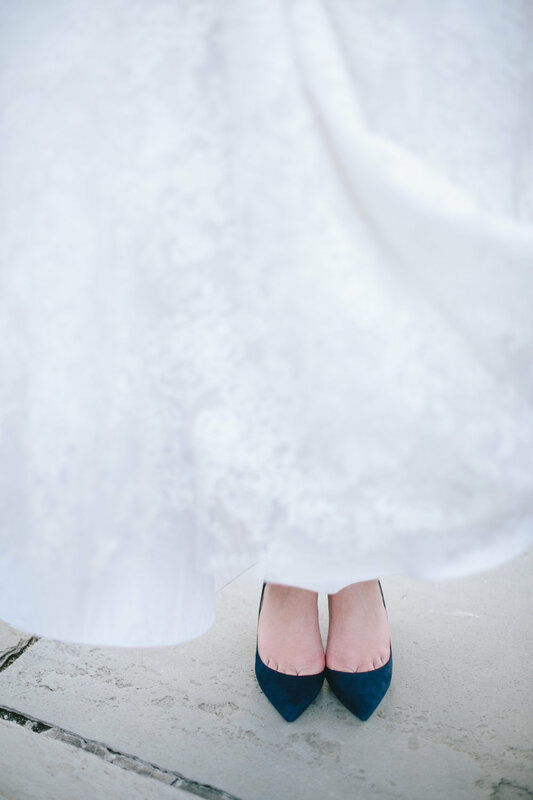 Caitlin and Jake live in Manhattan, but for their wedding, they returned to the place where their love story began: the campus of Duke University in Durham, North Carolina. 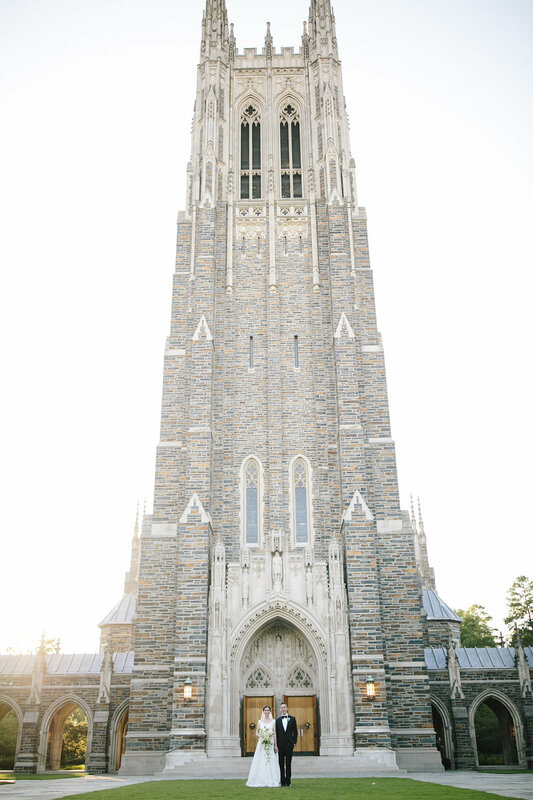 Their classic Duke Chapel wedding ceremony was the perfect start. Treating their guests to the food culture and hospitality of Bull City was only the first of many ways their wedding represented their story, their personalities, and the legacy of their families, all of which played important roles in this beautiful summer celebration. From the very beginning of the planning process, Caitlin and Jake shared stories of their favorite memories and places that brought joy to their hearts to intentionally incorporate into their wedding design. Their passions for food and wine were expressed through the care they put into selecting an exquisite menu to serve their guests at their reception at Bay 7. Elements inspired by their favorite New York City restaurants were even included in their reception design! The white roses tucked into countless places throughout the entire day were one of the most meaningful details—to Caitlin, they’re a symbol of lifelong marriage, since her father always brought her mother white roses while Caitlin was growing up. What could be more fitting to surround Caitlin and Jake as said yes to their own forever marriage? Following the ceremony at the breathtaking Duke Chapel, Caitlin and Jake celebrated with their guests at Bay 7, located in the heart of Durham. McLean Events brought their vision for “Manhattan elegance in the South” to life through textured white linens, modern ghost chairs, calligraphy details, and an abundance of white and palest blush florals arranged by Lily Greenthumbs. As the sweetest end to the celebration, guests were invited to help themselves at a coffee station (inspired by the couple’s memory of sipping espresso on a balcony in Paris) and a wall covered in custom bags of Durham favorite Monut’s Donuts. Cheers to C+ J and their new life together! A special thank you to the wonderful vendors who helped create a magical day! 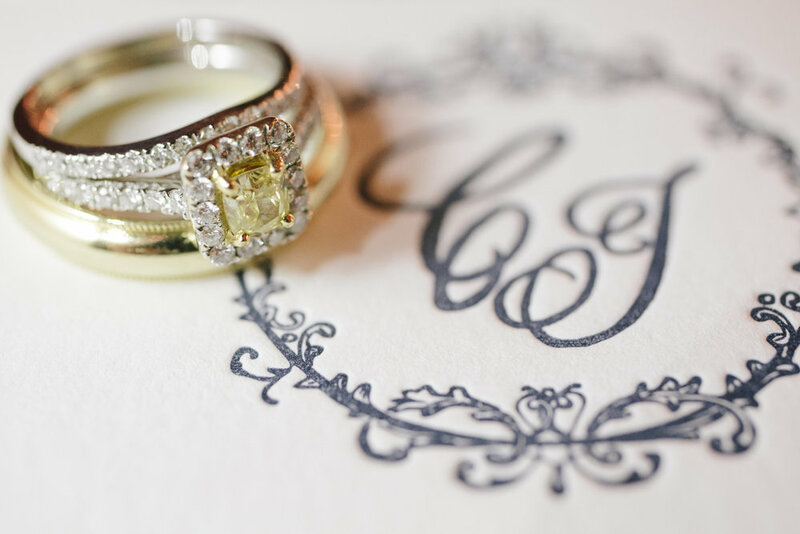 Let us design, plan, and coordinate a Duke Chapel wedding just for you. Contact McLean Events today.